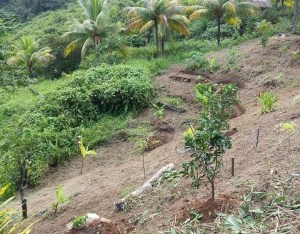 There is a Permaculture Training coming to Dominica! “The classic permaculture model sounds like this: permaculture practiced on the land leads to an abundance of material resources which can nourish and cultivate community. March 7th-19th 2016 – Mon. to Fri. The course is being designed and delivered by Jeff “Papillon” Ribier of the ButterSide and Mike Wird of Regenerative Lifestyles, Colorado, and is based on the classic Permaculture curriculum as inspired by the work of Bill Mollison and David Holmgren. It will take place in the Castle Bruce area at Eden Heights and Beyond Vitality plus various other sites across the island. This certification course will expose participants to a wide variety of subjects in the form of lectures, demonstrations and hands-on workshops. 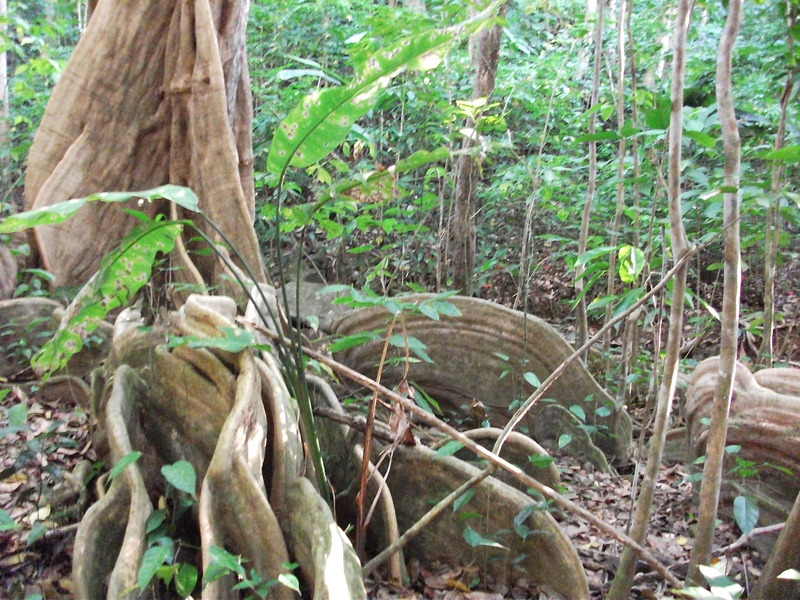 You will be studying in some of Dominica’s most beautiful gardens as well as in devastated and urbanized areas. Residing on the design sites at Beyond Vitality and Eden Heights, looking through the lens of Permaculture, you will develop a deeper understanding of social and ecological patterns, principles and appropriate strategies. And most importantly, the quality of the relationships between them. There will be a series of presentations by local community organizers, farmers, botanists, builders too. … because Dominica is such a spontaneous natural environment there is always more to enjoy then what is planned – a beautiful rainbow; the visit of an iguana; a ripe fruit; the heavenly scent of flowers; the call of a bird. The organizers are going out of their way to have both Dominican and International Students be able to participate. In my opinion this is essential for a truly eco sustainable educational tourism program. This will enable the rare blending of those from Dominica interested in organic farming with those interested in organic farming throughout the world – I am sure a lifetime of friendships will evolve! You can choose to take a one week or two week program. Early-bird rates end on December 15th, 2015. Scholarships are available to a limited number of people – checkout who complete the PDC scholarship application form and return it to Sian at Eden Heights by January. The ‪‬ program is available for people who can only attend a couple of days of workshops, as well as those interested in completing the whole course. Exact dates and topics for the 2 day packages will be confirmed in January. There is a limited number of spots for this course, don’t wait too long. Final sign-up deadline is February 1st, 2016 (no refunds are available beyond this date). If you miss the deadline or wished there were a possibility for a payment plan, don’t give up! We’ll work it out. Contact us to see what can be arranged. If you are choosing a payment plan, a non-refundable $300 deposit is required upon registration. Your registration will be handled with care and you will be on our standby list for the first available opening. Accommodation is organized on a first registered/first served basis. The link below gives you an overview of the itinerary; the topics covered during the training as well s the credentials of the teachers. This is a great way to highlight Dominica and new talent; congratulations Discover Dominica! Dedicated to the people of Dominica! ‎10 self-help techniques to rid the body of pain, stress and tension. 10 spaces….3 are already gone! I love how the winner looks like he is in a bird trance!